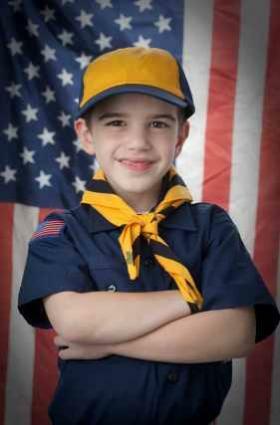 If your child is a Boy Scout, you know that strict guidelines apply to Boy Scout uniform patch placement. Scouting is a proud tradition, and Scouts are subject to periodic uniform inspection. If patches and other insignia are not properly placed, Scouts can lose points in the inspection. There are specific rules for each sleeve and each pocket of the Boy Scout uniform, and also for the merit badge sash. Boys are encourage to sew their badges onto their uniforms themselves, so the Boy Scouts Association understands that the effort may not yield perfection. However, the organization offers specific guidelines that are easy to follow. Boy Scout uniform patch placement may seem daunting, but it is easily outlined and, after the patches are in place, there is very little occasion to replace them. Starting on the right pocket, boys wear the Boy Scout Jamboree insignia above the Boys Scouts of America patch. On the flap, the boy sews his Order of the Arrows lodge insignia, and, if he has a temporary insignia, he can center it on the pocket or hang it from the button. Sew the Varsity or Venture patch above the Boy Scouts of America patch or over the Interpreter patch. On the left pocket, boys wear the World Crest emblem, centered over the pocket, horizontally, and between the shoulder seam and the top of the pocket. Service stars are worn below the World Crest emblem but above the pocket. They must be spaced 3/4" apart, measured from the top point of the stars. The square knot patches belong below the stars and above the pocket. They can be added individually to the uniform, but only three knot patches are included in a row. Rank badges are worn directly on the pocket in the center. On the right sleeve, boys wear their national flag patch below the shoulder seam at the epaulet and centered. Boys may wear only their most recent Centennial Quality Unit Ward and any related stars. If they are a musician or in the Scouts drum corps, boys may wear the Musician badge. Starting below the epaulet, boys wear their Council shoulder patch. The veteran unit patch is directly below the shoulder patch, followed by the unit number. All three patches touch, essentially stacking the patches from top to bottom below the shoulder seam. The Badge of Office touches the unit number and is centered on the sleeve, four inches below the seam at the shoulder. The Trained Leader badge is sewn below the Badge of Office. The Boy Scouts organization has created a fantastic program that helps boys to reach out to the community around them, develop skills, and work for a better future for everyone. With all of those opportunities, boys earn the privilege or showing other Scouts and the community what they have achieved, often through dedicated work and commitment not always seen in children.